Kim Raczka, REALTOR: Testimonials : Realtor, 5 College Realtors, serving Western Massachusetts including Northampton, Amherst, Hadley, etc. 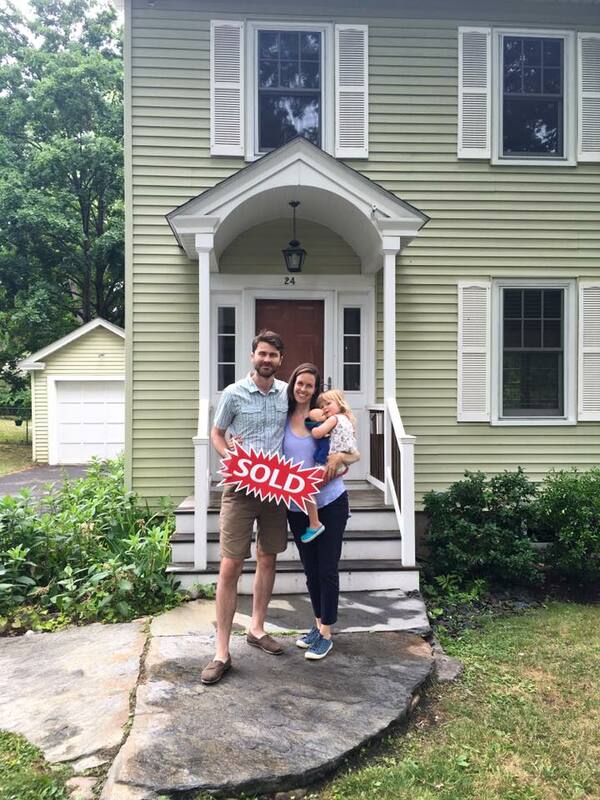 "We just bought our first house and it was a relatively laid back, low stress experience, thanks to our delightful Realtor. She came recommended from a friend and we also cannot recommend her highly enough. Kim knows the area and schools extremely well. She is realistic, patient, and was very helpful in negotiating and guided us into getting an amazing house for a great deal. 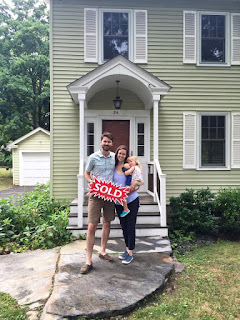 Her organization and coordination of all of the moving pieces to homebuying (offers, to mortgage, to inspections, and closing) was impeccable and we felt a little guilty for feeling no stress during this process. I bought a house last spring and was lucky enough to choose Kim Wojcik as my Realtor. Being a single woman, buying a house was a daunting prospect. With Kim, however, I felt instantly reassured. She patiently and expertly walked me through the process, and always made herself available to answer all of my questions, no matter how small and insignificant they might have seemed. When I found out that Kim had been an elementary school teacher before going into real estate, I wasn’t surprised. She knew how to explain what I should expect each step of the way and kept me informed about what I needed to do within the expected timelines. Because of her expertise, the process of buying my home went smoothly and with a lot less stress than I would have had otherwise. I would recommend Kim to anyone thinking of buying or selling a house. In fact, I couldn’t imagine a better Realtor. Kimberly Wojcik did a fantastic job for us. We had lived in our house for 42 years so the idea of selling was bittersweet. Kim understood and respected our ambivalence and was sympathetic and reassuring. She gave us great advice on how to stage our house and was accessible and professional in all our dealings with us prior to and after the sale. Our house sold one day after the open house for thousands more than the asking price. She also recommended an attorney (David Bloomberg) who handled the closing efficiently and professionally. I give Kim the highest recommendation. Kim Wojcik was a fantastic advocate and resource for me as a first-time home buyer! She is knowledgeable, helpful, responsive and savvy. I would wholeheartedly recommend her to anyone looking to buy or sell a home! 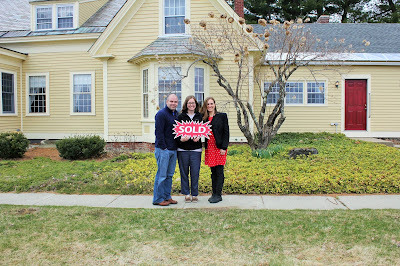 We had a fantastic experience working with Kimberly Wojcik on the sale of our home and the purchase of our new home. She was highly professional, available to assist with our concerns at all times, and very knowledgeable about all aspects of the process. She remained calm, collected and patient throughout all the ups and downs of the process. We recommend her highly and would absolutely work with her again. Kim did an amazing job selling my condo! When I was going over the final paperwork with my attorney, he said "Don't you love working with Kim?" We agreed: she's smart, organized, knowledgeable, personable, honest, and thoughtful. She made each step of the complex selling process effortless for me. She anticipated every possible situation, knew exactly what needed to be done and who would do it best. We stayed right on schedule, and there was absolutely no drama thanks to her professionalism and patience. Hiring her as my agent was such a good decision. I highly recommend working with Kim! Kim was recommended to me by a family member. Throughout the process of buying my first home, Kim had been great. She walked me through the home buying process, answered all my questions, and addressed all my concerns. Kim was flexible to be able to work with my schedule to show me houses. 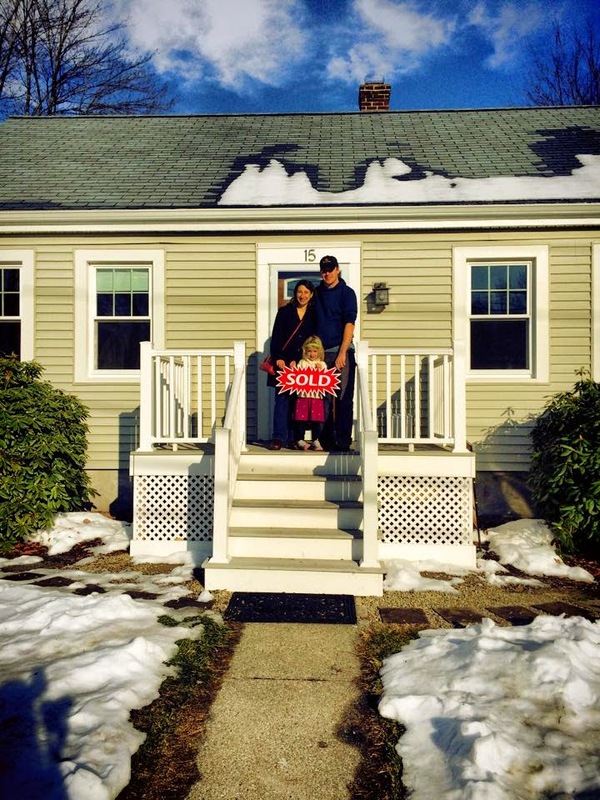 With her effort, she made the home buying process seem smooth and painless. I highly recommend Kim as a realtor. We really could not have asked for a better realtor. 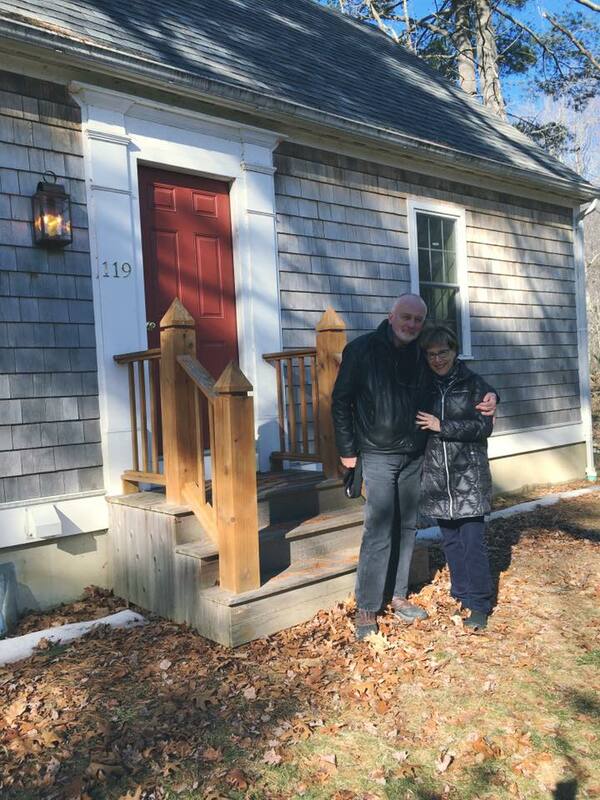 We felt so fortunate to have Kim beside us every step of the way along the path to buying our first home. As first time buyers we had no idea what to expect, and it was so great having Kim there to guide us through the entire convoluted process. She took the time and effort to explain our options to us and make sure that we felt comfortable throughout. When unforeseen issues arose, Kim helped us through it with wisdom, patience and logistical expertise. Kim was knowledgeable, caring, a great communicator, and clearly had our best interests at heart. She worked with a great network of experts and gave us excellent recommendations along the way. We trusted her completely and ended up with a house that perfectly met our needs. While we hope to be in this house for a long time, it feels like a shame not to be able to work with Kim again. We recommend her completely and without hesitation! When we decided to purchase a home in the area we went straight to Kim to assist us-and we are so glad that we did! Kim is an extremely talented, caring realtor and she always made us feel like important clients. From the very first meeting to the closing, Kim was there to guide us through the process. She understood what we were looking for in a home, what was important to us, and helped to make that a reality. She was always available to us to answer questions or explain something, day or night (and even during her family vacation!) Kim also has great connections in the area and was able to schedule appointments for us, taking a lot of the burden off of our shoulders. Not only is Kim excellent at what she does, but what she really wants is for her clients to be happy and find their dream home. She helped us find ours, and we can't thank her enough. Kim had recently been through the process of buying land herself and that proved to be invaluable experience to us when going through the same process. She was able to talk us through what was going to happen and recommend other professionals that would help us through the steps of closing and inspections. I can't say enough about how responsive, knowledgeable and helpful Kim was through the entire process. Kim provided us with an excellent home buying experience. We were moving from out-of-state, and Kim took care of everything locally for us including multiple meetings and visits to the property throughout the process that were above and beyond what a realtor would normally do. She is very well connected in the area and was able to recommend service providers in a variety of fields. Always calm, she was very responsive and got back to us in a timely manner whenever we had questions. She's very knowledgeable of the area, a dedicated realtor, and we give her our highest recommendation. schedules and two little kids at home was pretty overwhelming. Kim was so reassuring as we decided to take the plunge and make a contingent offer on the home of our dreams, and list our home as well. Throughout the process she clearly explained every step, and kept us on track with signatures and deadlines. Kim was always available via phone, text and email, and took the time to advocate for us, answer our questions, and help us weigh big decisions. We cannot thank her enough for her hard work, time, and attention and friendship! I was in search of a Realtor and a few colleagues of mine highly recommended Kim Wojcik and I really lucked out. I was trying to sell and buy a house at the same time and I personally didn’t think it would go smoothly. Kim was on top of everything and was even super helpful on sending me reminder emails knowing how hectic regular life can get. She was super helpful on providing me suggestions and connections to key people that helped me tie up the many loose ends when trying to buy and sell. It was a very long long process luckily for me that I had an amazing Realtor that is so helpful and reliable which resulted in a successful sale and purchase of my next new home! Thanks Kim!!! Todd and I can't thank Kim enough for everything she did to help us through our first experience purchasing a home. When we met Kim at her office she explained the whole experience of purchasing a home and what we had to do. It felt so overwhelming but I knew that she would be there every step of the way to get us our dream home. We told her what we were looking for and she made sure I received emails daily of homes for sale. Then I was told of a home for sale the sign was just posted and I was in love with it. I texted Kim right away to get us in to see the house and that weekend we went to look at it. She met us there and walked throughout the house explaining every detail she saw. She really knew her stuff and at that moment I knew we made the right decision. We made an offer that night and she explained the whole process to me and she kept in touch that night and the next day until she called and said the seller accepted our offer. Kim was just as excited as we were. From then on she made this whole experience so easy with all of her recommendations, texts, and emails. I probably drove her crazy but she had my trust and faith from the beginning. Kim was there the first time we walked into the house,the inspection,the final walk through and even the closing. We were so thankful she was able to be there for us even though the Realtor doesn't have to be there. She was there for us and we are thankful she could enjoy the moment they handed us our keys to our new home. So please if you read this give Kim the opportunity to work with you like she did with us. We are thankful we chose Kim as our Realtor. She really made this whole process easy for us and we can't wait to send her photos and have her come over to our new home to see it set up our way. Thank you Kim! You have no idea the happiness you gave our family by helping us get this home. This is the second time I have chosen to work with Kim and I will continue to hire her as my realtor and highly recommend her to others. Kim is the utmost professional. She is incredibly timely and thorough and has excellent technical knowledge- the majority of the documents required for the sale were emailed to us and we could (very easily) electronically sign. Her assessment of the right price to ask for the home was spot on- and we sold for exactly what we hoped to get. She installed all the required smoke detectors for us and met with the fire department to obtain permitting. Any correspondence was addressed within a 24 hour period (usually much less). I never worried about any detail of a home sale or purchase when working with Kim and everyone I know who has worked with her (more than five families and our real estate attorney) expresses exactly the same sentiment. And, have I mentioned she's really nice, too? Personable, kind, and always able to look at a problem as having a workable solution. I can't express how grateful I am to the services she provides and the way she goes about doing her work. She is truly phenomenal! Kim made the process of buying our first home as easy and stress-free as we can imagine is possible. She provided sound and knowledgeable advice, stepping back to let us make our own decisions, but provided us the information we needed to make the right choices for us. Kim is responsive, organized, and incredibly thorough--as was everyone she recommended to help us in this process from the mortgage lender to the home inspector. She helped us move quickly on our dream home during the holidays this year, keeping us and everyone else involved on schedule so we could close before the end of the year. Kim has an obvious reputation for professionalism and honesty, as our negotiation--which at times was difficult and included termite damage repair and a failed furnace on the day of our inspection--with the seller's realtor demonstrated a rapport that comes with a good reputation in the industry. Whether buying or selling, for the first time or after many times, we can't imagine anyone more qualified to guide you through this process. As my husband and I began the insane venture of searching for our home we stumbled upon our real estate agent Kimberly Wojcik. I cannot describe how lucky we were to find her. Kim was so kind, caring, and considerate of our family's needs- she felt like a good friend; but also knowledgeable and as reliable as the utmost professional. She's the best of everything. Kim was constantly accessible to us. My husband works crazy hours but she was there for us anytime, any day- mornings, nights, weekends she always got right back to us with any and all information we needed. She would advise us on schools, nearby activities, types of heat available in the area, anything she could possibly help us with. She always took our kids into account and what would be in the best interest of our family and particular needs. Being first time home buyers there was so much we didn't know. But she never hesitated to help answer my questions with everything from the mortgage lender to homeowners insurance to how certain stoves work. She is outstanding and we love her! I truly think we found our forever home but if we ever needed another real estate agent I would go to no one but her! realtor/local tour guide - she was brilliant. was patient with us as our wants/needs shifted. We felt so well looked after throughout the process, right to the closing where Kim wooed our toddler with stories while we signed endless paperwork. We had an excellent experience working with Kim on the sale of our house. From day one she impressed us with her no-nonsense approach, her knowledge of local markets and her ability to make things happen! For example, within 30 minutes of deciding to refinish the floors, she had gotten us in contact with a skilled and reliable local flooring contractor who did an incredible, speedy job. She was easy to communicate with and replied to all of our questions and concerns quickly and clearly. We had a doozy of a closing day, with some last minute crises, and Kim handled them all with her usual calm, steady, competent approach. She went above and beyond on multiple occasions, such as bringing backup smoke alarms to the fire department inspection. I would recommend Kim to anyone without reservations! 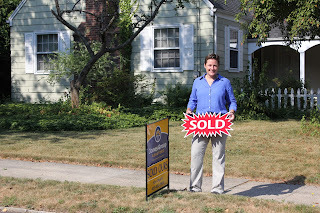 Like many buyers, our transaction was smooth in some places and (for reasons connected to the particular house we purchased) slightly tangled in others. In those tangled spots, she was persistent, patient, thoughtful, and (above all) she made us feel that someone was handling the issues that arose. The helpless roller coaster feeling I've heard described as part of the home buying experience was nowhere near our own: we always felt that our advocate was checking in with us, checking in and pushing on the situation, and continually moving the process along...even when it seemed that the process couldn't be moved. Kim was recommended to us by more than one friend (via social media). The recommendation that stuck with me the most came from a individual who was actually a buyer with another agent while Kim was the seller's agent. This friend was so impressed by Kim's togetherness and command of the details of the process that she recommended her. "Kim was helpful during every step of the selling and buying process. It is easy to trust Kim with her experience and expertise in the field. She is so knowledgable about the current market and the local area and that made the process quicker and easier for us. Kim is patient and kind--she made what could have been a very crazy process feel less so with her calm demeanor and her understanding. She was always there for us when we had a question or needed to some reassurance. She helped us understand the process and procedures of selling and buying a house. Selling/buying a house can be so stressful; and having Kim be our support and our advocate really made all the difference. We highly recommend Kim Wojcik to anyone needing a realtor!" "Kim was so helpful and professional. 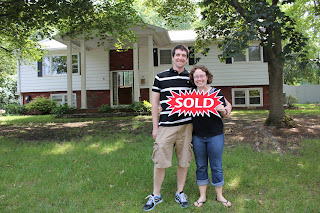 She made buying a house easy and helped us in more ways possible. So thankful she was our agent, it's not easy to buy a house and be on a strict deadline but Kim made it possible! Kim went above and beyond my expectations." My husband and I both loved working with Kim as first time home buyers. She was extremely patient guiding us through the whole process, and full of great tips and recommendations. We really felt that we could trust her. She was super available, always responding quickly, and great at managing all the various timelines and details that needed to be taken care of. We asked for advice on a lawyer and inspector, and everyone she suggested was also great to work with. Basically Kim took great care of us and we would definitely recommend her to anyone looking for a realtor! house. This has been a personal dream of mine since a childhood spent going to the lakes in the Catskills over the summers. Who would have ever thought that our realtor would also be a dream come true but Kim is! There are so many negative things that you hear every day about realtors but Kim is the polar opposite. Kim was always prepared, extremely knowledgable, super organized,impeccably honest, and also so very kind. We couldn't have done this transaction without Kim and we wouldn't have wanted to do it with anyone else. We can't wait to have Kim out this summer to toast our purchase in true style! Marc and I and our daughters cannot thank Kim enough. Here's to our lake house and here's to Kim being as extraordinary as she is in today's business world! After meeting Kim Wojcik six years ago in our birth class, we became friends on Facebook. Besides liking her in a social way, we were impressed with her social media presence. It allowed us to see her work and her understanding that social media has an important role in contemporary sales. It was clear that this talent would help us to find the perfect buyer. In addition to this factor, we were also impressed with her demonstrated success in sales. In addition to all of these qualities, her sense of humor was important to me. Even though that doesn't seem important in a set of business transactions, it certainly made it a more enjoyable process. Laughing together makes all of these stressful situations much easier to get through! From our first meeting to all of the subsequent meetings, she was helpful and honest. We knew we could trust her. We had her sell our house and appreciated her demonstrated skills so much that we also bought our next house through her. I don't think there is any better way of supplying a recommendation than letting potential clients know that we were repeat clients. Kim Wojcik was very knowledgable of the short sale process and her professional approach to negotiate with the bank and prospective buyer really helped alleviate my stress and anxiety over the whole process. Kim took the time to explain each milestone in the short sale process and I only had to deal directly with her and my attorney. Kim took it upon herself to schedule showings with my difficult tenants and once again her professionalism and patience cannot be overstated. I would recommend Kim's services to anyone looking to sell their property. From the moment we first met with Kim we felt taken care of. She took the time to get to know us and our home, answered all of our "newbie" questions, and really explained each stage of the selling process. Kim was always available to us through phone, text, and email. We never felt "out of the loop" and were in constant communication throughout the process. We feel that Kim is a savvy broker who knows the area extremely well. It's clear that she's well-studied in real estate trends. Kim even gave us tips on staging our home, along with some simple updates to help make our home more attractive. Her suggested list price was right on target for us to sell our home quickly and easily. And when we needed some help with home repairs, Kim put us in touch with excellent, well-priced local vendors -- everyone from a roofer to a house cleaner. Kim created a gorgeous slideshow of photos of our home which she shared widely on social media platforms and various websites. We appreciated that she took every opportunity to showcase and advertise our home. After each showing or open house, Kim solicited feedback from the potential buyers and agents. It's very evident that she has a natural and excellent rapport with other agents. As pleased as we are with Kim's overall performance, we feel she really excels at negotiations. We reached a point in the negotiation where weren't really sure where to go, but Kim handled the situation with absolute skill. We eventually settled on a sale price that made us very happy. We wouldn't hesitate to recommend Kim Wojcik. In fact, we have already passed her information on to other friends and colleagues! Kim was easy to work with, practical, and honest. We knew we could trust her business sense and recommendations implicitly, and trusted that she would tell us what we needed to hear -- not what we WANTED to hear. Working with Kim over this past year has been absolutely wonderful. As first time home buyers, we were new to the world of real estate, and Kim was exceptionally knowledgeable, professional, and patient in guiding us through the process of finding and closing on our first home. Although Kim must have shown us close to 25 houses before we finally found "the one" we never once felt rushed or pressured; instead, Kim encouraged us to take our time and was as invested as we were in finding the right house for us. Once we had an accepted offer, Kim did an excellent job of walking us through all of the paperwork and taking care of virtually everything that needed to be done, from scheduling an inspection to prepping us for the closing. Throughout the entire process, we were continually impressed by her expertise, availability, and responsiveness. There wasn't a question we threw at her that she could not find the answer to, and she was seemingly always available time, day and night to answer our questions, ease our anxieties, or simply offer some much-needed encouragement. We are thrilled with our new home and would highly recommend Kim to anyone looking for a great realtor in the area! We came to Kimberly Wojcik after a failed offer with another realtor and company (and after taking some time off re-evaluating our needs.) Kim was a peer with kids the same age, which attracted us. She also was not pushy and gave us the feeling she was supporting us in our process rather than pushing to make a sale. Unfortunately, our first experience with a different realtor ended up seeming like we were just cattle being herded. Kim has a ton of knowledge about the area and allowed us to ask questions versus spatter off her own opinions. Despite the understanding that purchasing a home is extremely stressful, we found our home buying quite simple and I'm sure it was due to Kim and her easy-going approach. She's dedicated, intelligent, professional, and kind. Kim Wojcik made a great impression on family when visiting one of her open houses leading us to contact her and ask if she would help us make an offer on a house. Overall Kim was very helpful during the purchase of our first home. She walked us through the entire process, letting us know what to expect and when. She was very responsive and answered all of our questions/concerns in a timely manner. She even took time out of her family vacation to assist us in making an offer on our house which was very much appreciated. We would definitely recommend Kim to any family or friends looking to buy a house. Working with Kim Wojcik was fantastic. Not only did she find us our home, she helped us through some unique difficulties in our home buying process. She is incredibly knowledgeable and gave us great advice. The whole time it felt like we were not only working with an experienced realtor but with a friend who really got what we were looking for. Kim is highly professional and responsive. 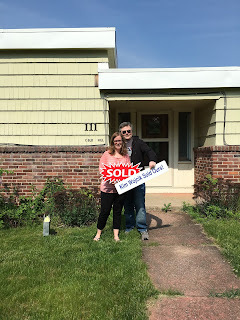 Our house was on the market for 2 days when we got an offer and we closed in record time -- many thanks to Kim for pushing to close quickly so we could enjoy our vacation and be in a position to close on our new home when we got back from our trip! We came to Kimberly Wojcik after a failed offer with another realtor and company (and after taking some time off re-evaluating our needs.) Kim was a peer with kids the same age, which attracted us. She also was not pushy and gave us the feeling she was supporting us in our process rather than pushing to make a sale. Unfortunately, our first experience with a different realtor ended up seeming like we were just cattle being herded. Kim has a ton of knowledge about the area and allowed us to ask questions versus spatter off her own opinions. Despite the understanding that purchasing a home is extremely stressful, we found our home-buying quite simple and I'm sure it was due to Kim and her easy-going approach. She's dedicated, intelligent, professional, and kind. A friend highly recommended Kim so we contacted her. After talking to her and meeting with her, we felt very comfortable with having her be our broker. Our home search was pretty vague from the outset. We were looking at places in three counties separated by many miles. Kim took several long Saturdays driving us around the Valley. She was very patient with us throughout that time, even when we were running late. Kim was on top of the process throughout, her attention to detail kept everything on track and allowed us to close in a very short time frame. experience of buying my first home could have not gone so smoothly without all your help and knowledge throughout this process. From day one you guided me in the right direction with helping me find a home inspector, pest control inspector, a wonderful mortgage lender and attorney. You were always able to answer all my questions so quickly at any time of the day. I have never met such a devoted Realtor like you, from cutting bushes so the electric company could come and turn on services, shoveling so the house could be appraised (what an awful winter we had this year!) installing fire alarms/carbon monoxide, waiting for fire department to inspect the alarms, and gas company so I didn't need to take time off of work. I definitely have only said great things about you and am so grateful I was referred to you from a great coworker and I definitely would recommend you to anyone looking to buy or sell their home. You are the best!!! Again, I am grateful for all your help with helping me buy my first home so that I can begin a new chapter in my life with my daughter . I can't say enough wonderful things about Kim Wojcik and her work as a Realtor. With constant professionalism, attention to detail, and enthusiasm, she helped us zero in on some wonderful properties and eventually find a house that was perfect for us. We had been looking for homes for a long time before we found Kim, and we had some very specific needs and constraints as buyers. Kim never batted an eye over any of them. She made us feel like valued clients at all times, often getting in touch with us to alert us about houses that were newly on the market and eventually to keep us updated about the progression of our offer and purchase. She wanted us to feel like we were being taken care of with clarity and respect, and I appreciated that about her a great deal. I would recommend her to absolutely anybody looking for a home or hoping to sell theirs, and I have already done so on numerous occasions. She made us feel like we were her only clients, which of course we weren't, and I can tell that she makes all of her clients feel that way. My husband and I can't thank her enough for her passion for her work, her dedication, and for helping us find our perfect house! From our first contact, Kim Wojcik went above and beyond to find us our new home. She took the time to get to know us, to listen to what made a house a home for us, and to support us through each step of our relocation and home purchase. Kim is truly an exceptional realtor who makes every effort to ensure her clients get the highest level of satisfaction when selling or purchasing their new home. This is why, we have already recommended Kim Wojcik to our family and friends and why we will continue to do so for anyone considering the sale or purchase of a new home. We can't say enough positive things about our experience with Kim. From the first day we met her we felt like we finally found a realtor that was going to be upfront with us and on our side. We were looking to buy an investment property and had limited means to do so, but Kim never once made us feel like she would rather be spending her energy with people who were going to put more money in her pocket. And, boy did she work for us. We put two offers in that ended up not panning out. The first one did not pan out because Kim took it upon herself to knock on some doors of neighboring homes (due to it being a short sale with limited information) and found out the area had significant well issues. This would have been a costly nightmare for us. We backed out of the second offer when we decided we were not 'condo' people, and Kim was nothing but graceful about our change of mind. We thought that she might have lost faith in us, but instead she called us a few days later about a house that had just come back on the market but wasn't advertised yet. We put an offer in within an hour of that conversation, and had a very easy closing. What was remarkable about this was Kim's ability in a very short period of time to really understand EXACTLY what we were looking for, and her keen knowing made it happen for us. But, this is just the tip of the iceberg really. Kim is personable, frank, honest, a great negotiator and listener, and a lovely, lovely human being. We have had many, many realtors in our history of multiple home buying, and would never re-hire any of them except Kim. She is a keeper for life. I recently purchased my first home. I started the process of looking at different listings with my friend, and Jones Real Estate Agent, Kimberly Wojcik. When I write that I started the process, I mean we started to casually look at properties in the area over four years ago, with me not knowing what I was really doing. This is when I first started to trust and appreciate Kim as not just a friend, but also as an excellent realtor. She would find places for me to look at after asking me questions about what I wanted from a home. She was always patient and non judgemental about my process - sometimes me being indecisive, other times simply being too overwhelmed by the whole idea and wanting to give up. Over all that time, she would always check in with me by sending me listings to look at, or we’d have a casual conversation about how my needs and wants for a home of my own may have changed. A couple of months ago, Kim gave me a call and thought I might like to check out a condo she had just listed. From all the conversations we had had in the past, she thought it might meet not only what I wanted, but also what I thought I needed from a home. I agreed to meet her at the condo, and the moment I walked in I knew I had found my place! From that point forward, Kim helped me through every step of the process in becoming a homeowner, often going above and beyond my own expectations by contacting vendors, scheduling services, and even installing switch plates for electrical outlets and replacing old light bulbs. Quite simply, she made it an easy and enjoyable experience for me to move from being a renter to a home owner. I wouldn’t have wanted to become a homeowner with anyone else but Kim. I trusted her completely and was always thankful for her honesty when I had question after question during the process - always only a phone call or text away. I not only trusted her advice and guidance, but relied upon it when things would get overwhelming. I admire her professionalism and integrity in dealing with all aspects of home ownership. I now have a home that I only dreamed was possible. Kim helped make my dream a reality by never giving up on me. I say it to her all the time, because it’s true: she’s the best! It was just fantastic to work with Kim this past year. 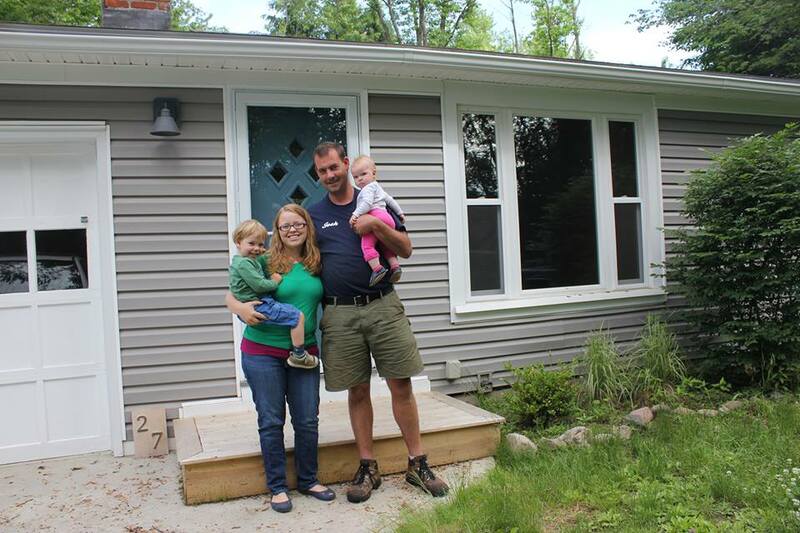 With a complicated sale, purchase, and renovation project to undertake, Kim helped us every step of the way. Ours was a process that could have fallen apart at so many points, and Kim remained cool and steady throughout. She went above and beyond- meeting with potential contractors at the property while we were at work, speaking directly with our mortgage broker, and meeting us at the property for the numerous visits which were necessary. Kim spent a great deal of time on our project over a number of months. She is excellent at making the seller/buyer feel as though they are in very capable hands and that she is truly dedicated to their specific needs. Her professionalism is top-notch and her real estate knowledge is excellent. Thank you Kim for helping us visualize and find the house of our dreams! As a first-time homebuyer, I didn't know what to expect or where to start and the whole endeavor seemed daunting. But less than six weeks after meeting Kim for coffee I had closed on the perfect condo and the process couldn't have gone more smoothly! Kim helped me through every step, from start to finish, and her knowledge and guidance were invaluable. She was always in touch (via text, phone call, and e-mail) to answer my questions, send reminders or just offer encouragement. Although I know she was working with other clients at the time, her responsiveness and focus made me feel like I was her only client. Whether you've bought a home before or not, Kim is a great person to have on your side. She takes a complicated, sometimes confusing, process and makes it so much simpler. I'm looking forward to working with Kim again in the future! Kim helped us sell our house in less than two days at asking price. Basically, working with her was fantastic! Kim did a great job giving us ideas of how to get our house ready to be sold and then showcasing it online. We highly recommend Kim to help sell your house. Thanks Kim! We considered a number of agents when we decided to put our condo on the market and look for a single family home for our expanding family. From the beginning, we felt confident that Kim wanted to find the perfect home for us and would do everything she could to sell our condominium as quickly as she could. Kim helped us in every way imaginable throughout the process and really went above and beyond our expectations in terms of her commitment to us and knowledge of the local real estate market. As a result, we are now in our new home and couldn’t be happier about our experience with Kim Wojcik and the Jones Group! Kim Wojcik is an extremely knowledgeable professional with whom I felt fortunate to have had the opportunity to with while purchasing my first home. She was able to answer all of my questions (and there were plenty!) on the home buying process and put any worries or anxieties at ease, while also understanding and encouraging the excitement of buying my new home. Kim made herself available at any time of the day to answer my many questions via text, phone, and email. She always responded immediately and if she didn’t know the answer right then and there, she investigated it and got back to me quickly. I always felt comfortable firing off a text or phone call with any question and never felt like I was asking a “dumb question.” She explained each step of the process thoroughly, told me what the next steps would be, and followed up with me, with my lawyer, and with my bank to make sure we were all doing what we needed to do to close on time. I highly recommend her services to anyone looking to buy or sell a home! "If you are looking for a realtor who assists you with all your needs, even personal ones; Kim would be a great choice. She not only helped us find the right place for us to downsize our living but also sold our home within a few months. Kim took care of our dogs when we were at work and she had a showing; she personally installed fire alarms/carbon monoxide detectors; she introduced buyers to neighbors; and she worked daily to help us manage new construction at our condo site. Buying and selling can be very stressful so let Kim relieve that stress and help you into that next move!" My husband (Fiancé at the time) and I were looking for something to purchase, either a house or condominium (we were terribly undecided). We began looking at properties on the internet but we are both visual people and wanted to see them for ourselves. We decided to begin attending open houses locally. We looked on the internet and found an open house at Blisswood Condominiums in Ludlow, MA. Upon entering, we were greeted with kindness and hospitality by the agent. She immediately attended to us and began showing us around. Since the time we began talking with her we knew we wanted her to be our Agent. Not knowing much about real estate or just buying property in general, Kim proceeded to impress us repeatedly. She was so helpful and truly listened to our likes and dislikes. We loved how Kim was very reliable and attentive to our needs. 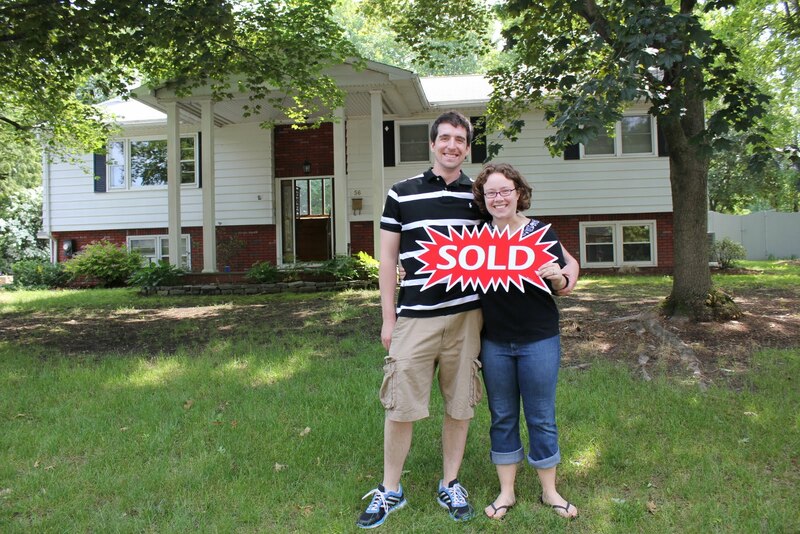 In all, we are thrilled to have had such a great experience as first time homebuyers, and would refer Kim to anyone. Thank you again Kim for being such a great agent! Being a first time homebuyer, I really had no idea about how much time and effort are needed when purchasing a new home. Kim made the situation as stress free as possible, and was always available when I had any questions or concerns. Working with Kim was a pleasure and I look forward to working with her again in the future. I want to thank you for all you did to aid in the process of selling my father's house.It was almost unreal, the way the entire process of selling our house went. From our first discussion on the telephone to the sale of the house just two days later. It was amazing. One hour after I first talked to you on the telephone that Saturday morning, we met and began the evaluation of the possibilities. The next morning you came back and set everything in motion. Two hours later, with your excellent skills and guidance, the house was completely rearranged, pictures were taken and the house was ready for an open house showing. Just one hour later the property was on MLS. To top the whole thing off, we had two firm offers in less than 24 hours and the closing at the end of the month. Looking back, the entire process, still now, seems almost unreal.You are the one person that I would surely recommend if anyone wanted to put their home on the market. With your help we had the right price and the right arrangement to reveal all the best features of our house.